All those who want to enjoy a fusion of dancing, singing and amazing instrumentations, reserve your Amanda Palmer tickets today. Get all the needed information here and get ready for the show. While studying at Lexington High School she joined the drama department and later formed a street theater group called Shadowbox Collective. Back in 2002, Palmer also directed a theatrical production called Hotel Blanc. 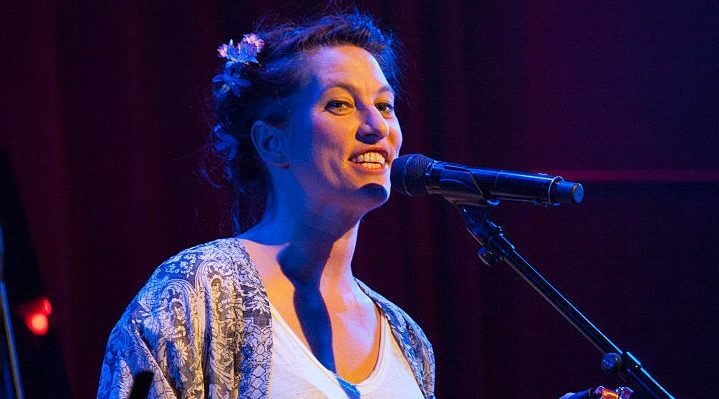 Having great interest in the performing arts, Amanda Palmer took the streets of Australia, Scotland and America, entertaining people as a living statue. One opportunity led to another and it was during this time that Amanda met the drummer Brian Viglione at a party. Sharing same musical interests they decided to form a band called The Dresden Dolls. They started performing live and their shows attracted a lot of people due to the ingenuity they brought in their acts. Palmer approached students from her old high school and encouraged them to perform dramatic acts in her shows. Live statues, fire breathing, still walking, choreographed dance routines and fancy clothing were some of their main features. This new entertainment style earned Palmer an immediate fan following and a vital place in the music industry. The Dresden Dolls were invited to perform at many festivals and music events. After releasing two studio albums, Yes, Virginia… and The Dresden Dolls, in 2008 they decided to disband but once again joined hands after a few years. Following their reunion, the band released two more albums after which Amanda Palmer decided to go her separate way. She formed a duo called, Evelyn Evelyn in which Palmer and her partner, Jason Webley performed on a theme that featured them as conjoined twins. They released a self-titled studio album and promoted it through a world tour in 2010. As far as Amanda’s solo career is concerned, the gifted musician incorporates genres like punk cabaret, alternative rock and dark cabaret in her music. In her compositions, the artist uses multiple instruments like the organ, piano, guitar and strings to come up with a unique sound. Leslie cabinets, horns and tympani can also be heard in her songs. Her record titled, Who Killed Amanda Palmer received great reviews from the critics of popular internet publications like The Guardian, Alternative Press, Pitchfork Media, PopMatters and Spin. A critic from MusicOMH gave the album four out of five stars and described it as, “exhilarating… It is a rather delicious confection; a cake iced with the darkest, bitterest chocolate.” Pitchfork Media also loved the song, “The Point of It All” and praised Amanda’s strengths as a lyricist. Following the success of her first solo album, Palmer came up with a second one called Theater Is Evil. A music critic stated that “Theatre is Evil is far more dangerous than the music you normally hear, but it lets you know you’re alive.” Songs like “Trout Heart Replica,” “Do It With a Rockstar,” “The Killing Type” and “Want It Back” have earned the artist commercial as well as critical acclaim. Amanda has been promoting her album since June 2012 when she went on an extensive tour that began from Berlin, Germany and ended in Boston, US. In September 2012, Amanda again went on a tour during which she made stops in more than 30 cities throughout North America and Europe. Some of her upcoming concerts are expected to take place in Gruenspan and Gloria Theater in Germany and the Town Hall Theater in New York. All those who couldn’t see Amanda Palmer’s theater-like performances before can surely attend the upcoming event. Amanda will be performing her latest tracks alongside her backing band known as the Grand Theft Orchestra. You don’t want to miss this one. And now, once again, the concert is held at the Rough Trade on the 21st of May, do not forget! And also don’t dare to miss this magical upcoming show. Buy the last tickets right away. The lowest price is $12 and the highest one is the $172 for one ticket! Hope you will there and will enjoy the show as well.